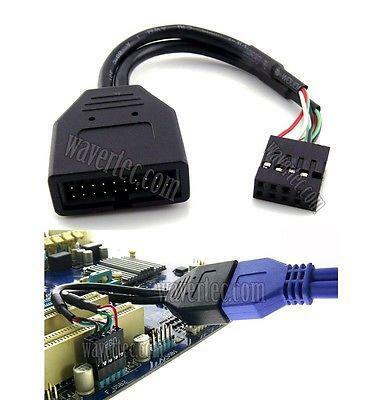 This cable converts the 20 pin of your new accessories to 9 pin. 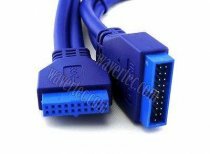 This is to allow you to use the 20 pin USB3.0 accessories on your existing USB2.0 computer with 9 pin motherboard. 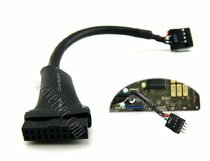 Allow you to use 20 pin accessories on your existing USB2.0 computer with 9 Pin motherboard. The speed of data transfer depends on your main board and any auxiliary devices connecting to this cable. This cable only allows you to use USB3.0 devices on your existing PC. It cannot change the speed of your main board or your auxiliary devices.